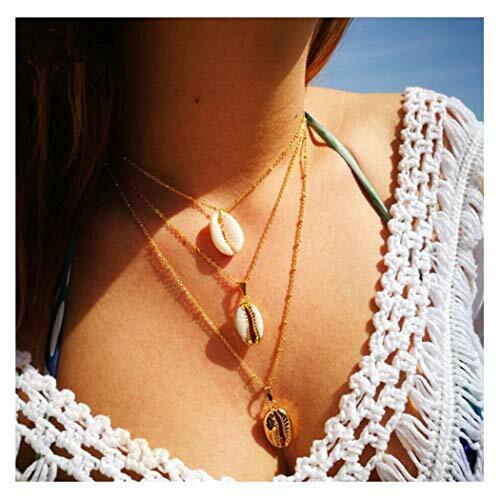 About the productBeautiful layered necklace made of alloy and shell. It is suitable for male and female on many occasions such as party or others. 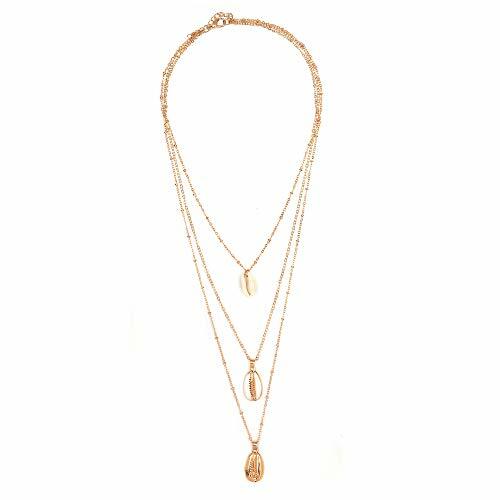 With this long gold necklace, you will be pretty special among all. Notice The color may be minor different from the picture because of the photograph.Please allow us 1-2 cm errors on size because it is measured by hand. About 'Artio'Established in 1989, Artio has been specialized in handcraft for more than 10 years.It has been designed and made handicraft products for almost 10 million people from all over the world.As a shining star of handcraft brand, Artio is committed to create freedom, elegant, retro and distinctive style products for you.Providing customers with most meticulous service, many carefully built necklace, earrings and bracelets, Artio is bound to be an excellent handcraft brand.Thank you for trust and support for Artio. If you have any question, please contact our customer service, we will provide friendly and effective support. Your feedback is our motivation to improve. 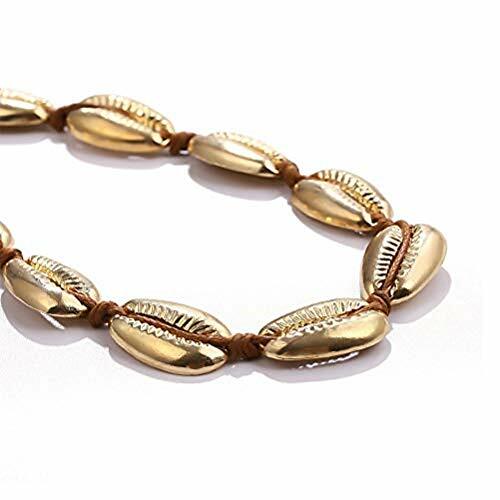 Design: The glass straps are decorated with different shapes shells or beads, which is beautiful and elegant, also they are functional and stylish, with sturdy material, can work for you a long time. 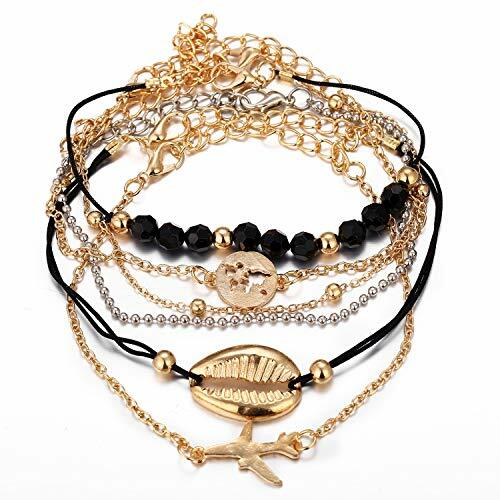 Adjustable eyeglass chain: Both ends have adjustable holder loops with metal coil, can be slipped on and off easily to fix so that they can make it easy to attach to your glasses easily, will not fall out. Wide usage: Suitable for daily wearing and formal occasions, can match with sunglasses, reading glasses and other types of glasses, fit for indoor and outdoor activities, can keep your glasses nearby and will not miss your glasses. Specifications: Loop material: silicone Quantity: 6 pieces Package includes: 2 x Glass straps 4 x Silicone loops Warnings: Choking hazard, please take it away from your kids. 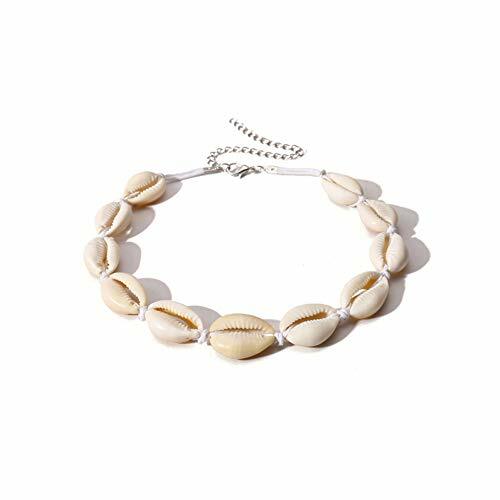 Condition Brand new Package Includes 1 Pcs Shell necklace Remarks 1.There is a little difference in color because of photograph. 2.Please excuse 1-2cm error owing to handmade item. Maintainance ★Avoid exposure to chemicals ★Avoid wearing it while sleeping ★Avoid a lot of sweating when you wear it ★Avoid rub and collision ★Avoid wearing when bathing ★Avoid soft jewelry to wipe This is not just a beautiful necklace but a love for your wife, lover, friends, family and yourself . If you have any questions, please contact us with hesitation. We will do our best to help and satisfy you . 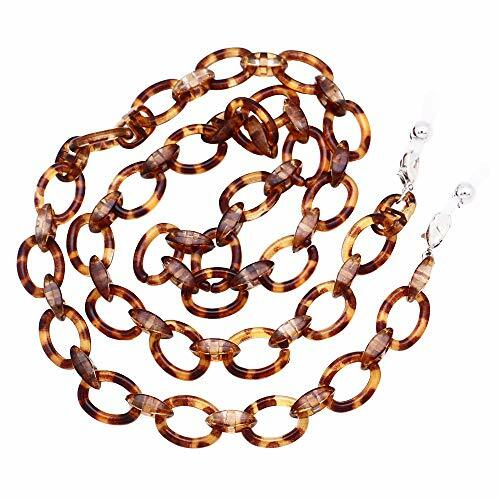 High quality fashionable multicolor beaded eyeglass chains keep your glasses safe and secure. 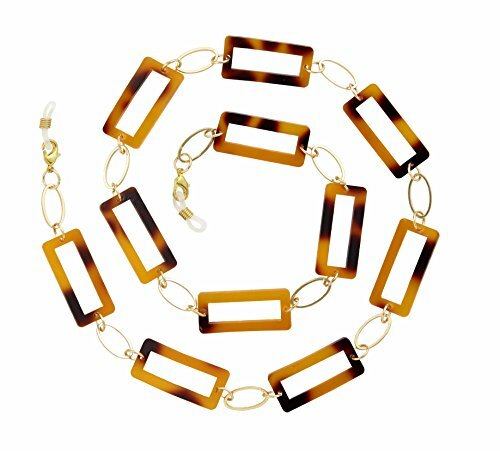 Our easy to use lobster claws also allow you to covert the eyeglass chain to a stylish necklace. 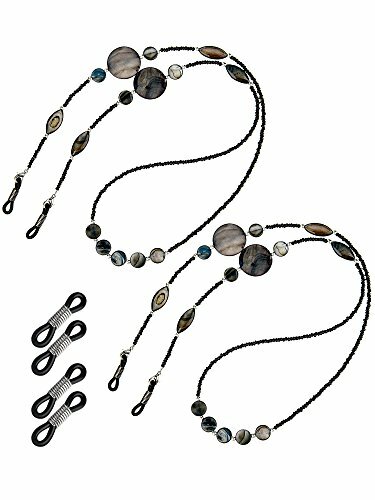 Each of our lanyards measure 26 inches in length and are made from the best possible metals and plastic materials to mimic natural stones and gems while ensuring the chains remain lightweight. Don't lose your glasses again by setting them down. The chain secures easily to your eyewear by the adjustable loops with metal coils. Now they can hang around your neck within easy reach. Choose from 9 styles/colors: Cali is made with a gold or silver metal chain and plastic beads in either tan, turquoise, or white; Kayla is made with a silver metal chain and clear glass beads, Emma and Isabella are made with a silver or gold metal chain and plastic beads; Jane mixes a gold metal chain with plastic leopard or tortoise shell links; Naomi is made with a silver metal chain, accented by plastic and turquoise colored stone beads. To clean, we suggest gently wiping with a damp cloth. All our eyeglass lanyard chains/necklaces are packaged in a white jewelry gift box with a decorative swirl finish and an elastic gold bow. Makes a wonderful gift to the woman in your life. Imported from Taiwan. Hand stitch| "Shell chain" stitch or "Roll chain" stitch | Шов "Цепочка из ракушек"
Want more Shell Chain similar ideas? Try to explore these searches: Long Boxer Brief Underwear, Kohler Ceramic, and Rp Tnc Female Bulkhead.